Samples of Mark Remy's work, including his books about running and links to his Remy's World columns. In 2015 Mark launched DumbRunner.com, "an online destination for runners who enjoy laughter and pie." It is ad free and 100% reader supported. Mark publishes original content on Dumb Runner three times each week in addition to producing a popular weekly newsletter, The Dumb Dozen. Go check it out. You might like it. A "greatest hits" collection of DumbRunner.com's first two years. 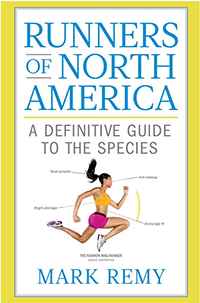 This guide examines the 23 subspecies of runners (ranging from The Newbie to The Gear Addict) and offers the reader sage advice on observing and communicating with these strange creatures in their natural habitat. Competitor magazine calls it "downright hilarious" and "probably the best gift book for runners ever written." Every sport has rules. Running is no exception. If you're curious, just visit the Web site of USA Track & Field, the sport's governing body, where you'll find detailed dictates on everything from disqualification to bib-number placement to the caliber of the starter's pistol. But what about the everyday rules of running? The unspoken ones that pertain to the lingo, behavior, and etiquette that every seasoned runner seems to know and every newbie needs to learn? Mark Remy provides answers to these very questions and many more in The Runner's Rule Book. 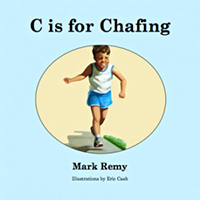 With 26 gorgeous color illustrations, C is for Chafing offers a fun and funny look at the sport, from A to Z, as only a longtime runner could provide. 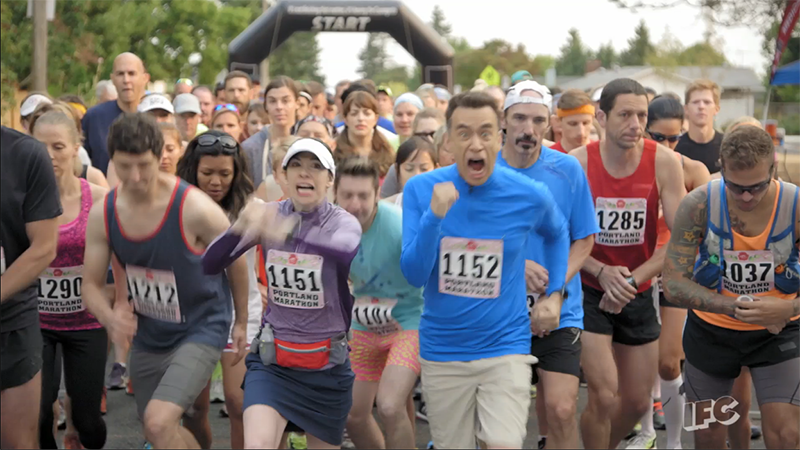 Oh, yeah—and this one time, he was an extra on Portlandia. So there's that.